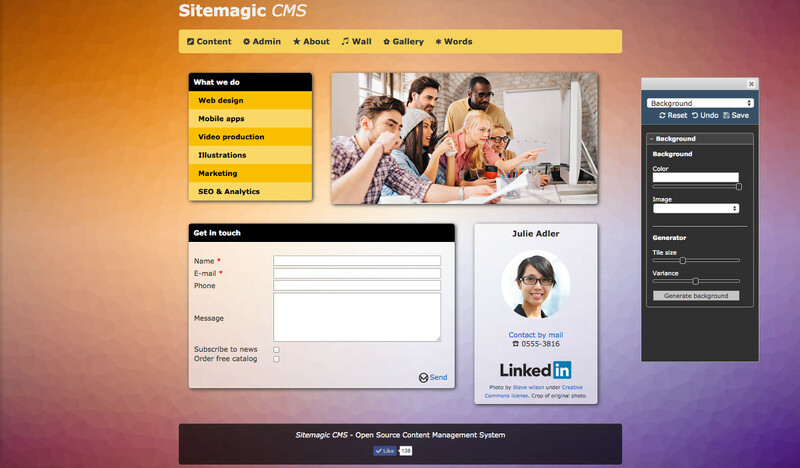 Sitemagic CMS is the only full-featured Content Management System that runs both with and without a database (NoDB). Data is stored in protected and secure XML files which gives us some obvious benefits. But Sitemagic CMS is no simple or crippled system. 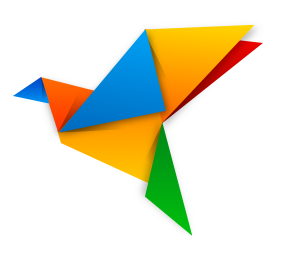 It is powered by a highly capable and flexible framework and templating engine, and an extension model that let developers write plug-ins in no time. On top of that, Sitemagic CMS is packed with features that makes even complex Content Management Systems jealous. Let's review just a couple of these - features that most NoDB systems do not have. Oh, and Sitemagic CMS is both Free and Open Source. 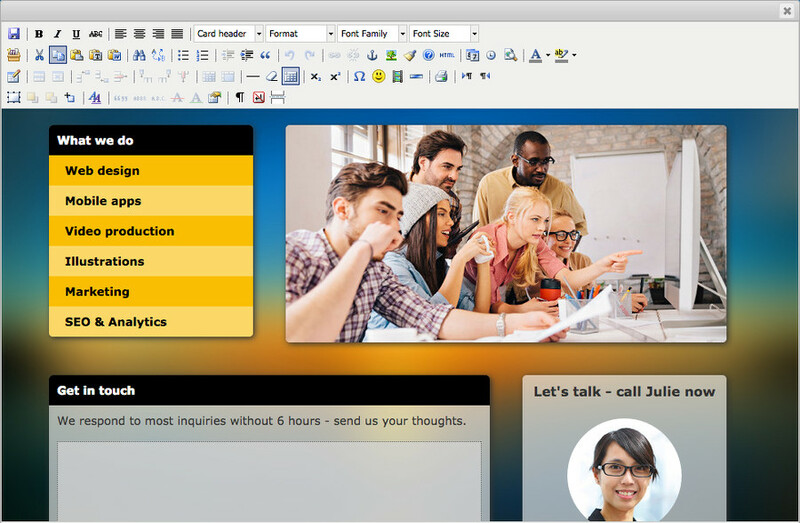 We think all this makes Sitemagic CMS the best Flat File CMS in the world. So what are you waiting for? Download it here.